After watching David Lean’s 1962 Oscar-winning movie, Lawrence of Arabia, I became fascinated by T.E. Lawrence. As a high-school kid I slogged through Lawrence’s expansive and detailed memoir of the Arab Revolt, Seven Pillars of Wisdom, and followed up with some of his other writings, even his translation of the Odyssey. American journalist Lowell Thomas, whose camera crew captured some of Lawrence’s exploits during the Arab Revolt of 1916-1918, was largely responsible for the creation of the Lawrence of Arabia legend. In sold-out post-war lectures, Thomas depicted Lawrence—in his flowing Bedouin robes—as a dashing figure, a chivalric knight waging a guerrilla war for Arab freedom against the Ottoman Turks. The romantic legend appealed to a war-weary Britain. Lawrence’s own popular account, Revolt in the Desert, only fed the fever and became a bestseller. But the psychological price of his war exploits and celebrity soon caught up with him. Sooner or later someone is bound to challenge such hyperbole; in Lawrence’s case it took about thirty more years. In 1969, The Secret Lives of Lawrence of Arabia by Phillip Knightly and Colin Simpson attempted to pry beneath the legend. Based on classified documents released by Britain’s Public Records Office in 1968 and on interviews with people who played roles in critical episodes of Lawrence’s life, the book proffered more questions than answers. As its sensational jacket copy states: “Archaeologist, author, savant, soldier, intimate of poets and kings, an intellectual who was also a man of action…or pathological liar, homosexual, Irish nobody, traitor, a Foreign Office lackey in fancy dress?” More documents, including many of Lawrence’s wartime dispatches, have since been declassified, and more research done on the war in Arabia and the disastrous 1919 peace conference in Paris that determined the region’s fate. 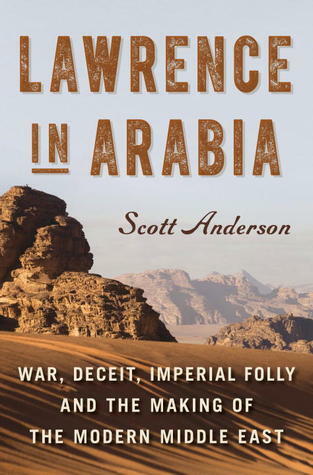 Their addition has enabled journalist Scott Anderson to provide a balanced reassessment of Lawrence’s influence and accomplishments in his new book, Lawrence in Arabia: Deceit, Imperial Folly and the Making of the Modern Middle East. As the subtitle promises, the book’s scope is broader than a biography of the man. The Lawrence of Arabia legend (as if an Englishman, despite the robes, could ever be of Arabia) is recast in the context of the ambivalent role Lawrence played in what was essentially an imperial gambit. Anderson weaves the story of Lawrence and the Arab Revolt with those of an international cast of characters representing the many factions wrestling for a piece of this oil-rich land. Primary focus is on the rivalry of the European powers and the Zionist movement that mostly sprang from Europe and targeted a homeland in Palestine. Front and center are the political machinations of the British and French, in the guise of diplomats Mark Sykes and François Georges-Picot, whose secret agreement would seal the fates of Syria, Palestine, Lebanon, Iraq and Iran—assuming the Triple Entente won the war and wrested these territories from the decaying Ottoman Empire, Germany’s ally. Sykes-Picot Agreement 1916. Reproduced from http://www.passia.org with permission. Where did Lawrence stand on this land grab? At first he and the Cairo-based intelligence unit he worked for advocated a policy of Arab liberation under British tutelage. They wanted to nullify French claims on Syria (modern Syria, Lebanon, Jordan, Palestine and Israel) by keeping the French out of the Arabian campaign. To this end, Lawrence’s superiors encouraged Emir Hussein of the Hashemite clan to revolt with the promise of an independent Arab nation that included Syria and the Arabian Peninsula. Lawrence was sent to join the Arab guerrillas to ensure that British interests prevailed. But, according to Anderson, Lawrence’s growing wariness of the political machinations taking place in London and Paris to undermine their promise to the Arabs led him to secretly reveal to Emir Hussein’s son, Prince Faisal, the nature of the Sykes-Picot Agreement. Was this treason or a shrewd manipulation to spur the Arab prince to press his campaign toward the capture of Damascus? As Anderson makes clear, Britain was not the only nation, and Lawrence hardly the only emissary, in the region conniving for position. From Jerusalem, the German spymaster Curt Prüffer instigated Islamic jihad in British-ruled Egypt. Zionist Aaron Aaronsohn ran a spy network in Turkish-controlled Palestine to aid the British, whom he believed the best guarantors of a Jewish homeland, while his colleague and sometime adversary, Chiam Weizmann worked the corridors of power in London. Even the Standard Oil Company, through its representative William Yale, was negotiating oil rights with the Turks while providing oil to both sides of the conflict. Later, after America entered the war, Yale would keep the U.S. State Department abreast of British and French military and political maneuvers. Anderson succeeds in showing how the duplicitous and cavalier decisions of crumbling empires at war brought about the muddle of the modern Middle East. 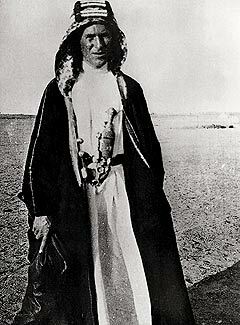 Lawrence, who understood the religious and tribal complexities of the region, failed to win his case for an independent Arabia including Syria. After the capture of Damascus, which effectvely ended the Arabian campaign, and the Sykes-Picot Agreement became public, Lawrence left the Middle East, never to return. Suffering from what Anderson describes as post-traumatic stress disorder, this brilliant, arrogant and ascetic warrior-scholar believed he had betrayed the Arabs he had fought beside. “Blast the Lawrence side of things,” Lawrence wrote in a letter using the alias T.E. Shaw. “He was a cad I’ve killed.” Anderson tells a compelling story that brings greater political and psychological insight to the Lawrence legend, but the enigma of the man endures. Two well-written histories about Europe’s scramble for Africa provide a fascinating study of how perspectives change with time. Alan Moorehead was a renowned Australian journalist who began his career reporting on the Spanish Civil War and the North African campaign during the Second World War. After the war, he turned to narrative history and published one of his most highly acclaimed books, The White Nile, in 1960. 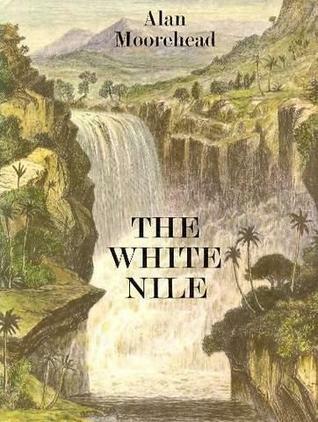 The White Nile follows that great river’s course through the last half of the 19th Century, beginning with Richard Burton and John Speke’s 1856 expedition to find the source of the Nile and ending with Britain’s suppression of the Mahdist Revolt in the 1890s. Tracing the source of the Nile to Lake Victoria is a story of heroic feats of endurance and hardship. In addition to Burton and Speke, it includes two names familiar to every child: the missionary Dr. Livingstone and the journalist Henry Morton Stanley. These men were soon followed by Samuel Baker who sought to tame the river for steamboats and General Gordon who sought to introduce the (British) rule of law to the Sudan. Barely a decade later, the Mahdi’s siege of Khartoum and Britain’s race to rescue General Gordon and then at Omdurman to avenge him involve two other famous Brits: a young Herbert Kitchener and an even younger Winston Churchill. Moorehead is a gifted writer who presents a riveting, novel-like narrative replete with well-researched details about these colorful figures. His own travels up the Nile during the war and while researching the book provided a first-hand experience that shows in his fine descriptions of the land and his appreciation of the early adventurers’ accomplishments. Moorehead wrote The White Nile as independence finally came to the “protectorates” Britain established in Sudan, Uganda, Kenya and Somalia. He isn’t an apologist for empire, but he still believes in the positive elements Britain brought with its governance. He describes the flourishing slave trade that Burton and Speke encountered (Arab traders had plundered East Africa for ivory and slaves for centuries, much as European traders did from West Africa). And he rightly asserts that Britain’s increasing influence through its missionaries and civil administrators helped put an end to that trade. His book, however, remains largely one-sided. He acknowledges, for example, that Stanley used repeating rifles to massacre Bumbire warriors armed only with spears on the shore of Lake Victoria, yet he admires Stanley’s ingenuity to transport (on porters’ backs) a steel boat in sections to the lake. He makes plain that Stanley was not a humanitarian even by Victorian standards, yet he lauds his drive and efficiency. What a difference in perspective forty years can make. The British Empire may never have been as abusive as the one American journalist Adam Hochschild describes in his 1999 book, King Leopold’s Ghost, but one suspects that if Moorehead were alive to write a history of the Nile today, it would require another dimension—that of the Africans who lived under British rule. Figures like Stanley might come under greater scrutiny, too. The Scottish orphan, who changed his name in America and made his name by “finding” Livingstone, doesn’t get off as lightly in Hochschild’s book. As Moorehead tells, this tough-as-nails explorer was the first European to descend the Congo River (after definitively charting the source of the Nile). But, as Hochschild tells, he later returned to oversee the rapacious development of the Congo Free State at the behest of Belgium’s King Leopold II. 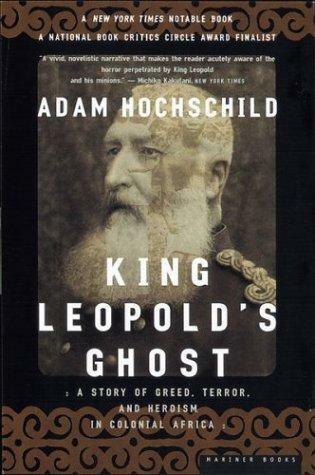 King Leopold’s Ghost recounts the harrowing story of the most egregious form of exploitative colonialism in the continent’s history. You already know something of this if you have read Joseph Conrad’s Heart of Darkness, for it was King Leopold’s large-scale and deceitful pillaging of the Congo’s resources that both books describe. The horror indeed. Disguised as philanthropic development to end slavery and bring Christianity to the Congo, the mercenary king created a kind of serfdom that might as well have been slavery. Through a brutal regime of European administrators who used terror and forced labor to extract ivory and rubber, Leopold made millions (billions in today’s dollars) in profit. The horror included hangings, beheadings, the severing of hands, and whippings that often killed. Women were held hostage, raped and traded as chattel. Children were starved and worked to death. And whenever any resistance occurred, retribution came in the form of destroyed villages and mass killings. Hochschild estimates that between 1885 and 1908, due to murder, starvation, exhaustion, exposure, disease and a plummeting birth rate, the population of the Congo River basin declined by half, from twenty million to ten million. The story would be dismal if it were not for the brave missionaries and human rights organizers like Edmund Dene Morel, William Sheppard, Alice Seeley Harris and Roger Casement, who risked their reputations, and some their lives, to bring these abuses to light. Hochschild also strives to weave into his story as many African voices from the era as he can, although there are many fewer than he would have liked. Most were silenced by death. Moorehead wasn’t wrong to tell, in a gripping fashion, the story of Britain’s role on the Nile, but as history it was incomplete. “The arc of the moral universe is long but it bends toward justice,” Martin Luther King said. 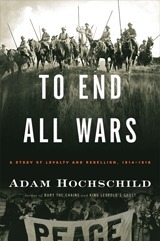 Hochschild’s important book lends credence to that claim. 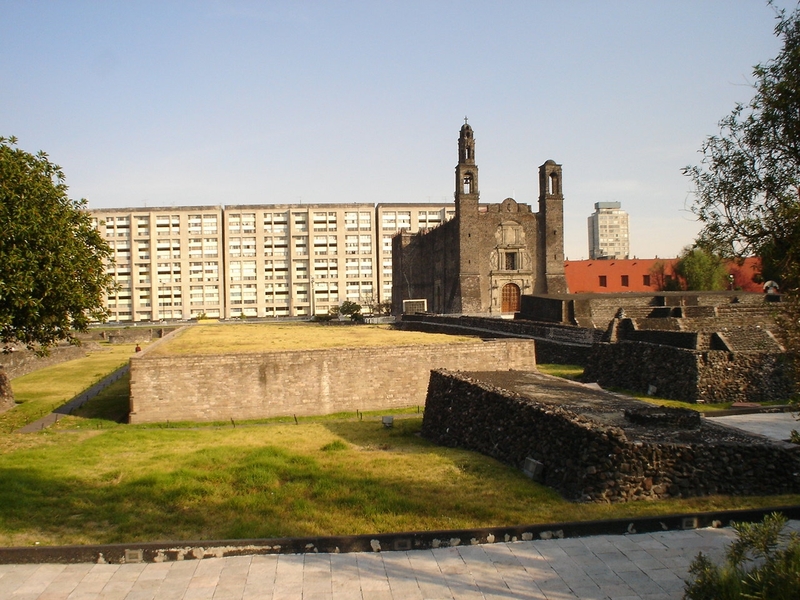 On October 2, 1968, just ten days before the opening ceremonies of the Olympic Games in Mexico City, soldiers opened fire on a demonstration of some 10,000 students at the Plaza of the Three Cultures in Tlatelolco, in the heart of the city. At least forty-four people were killed (the actual number has never been determined) and hundreds wounded. 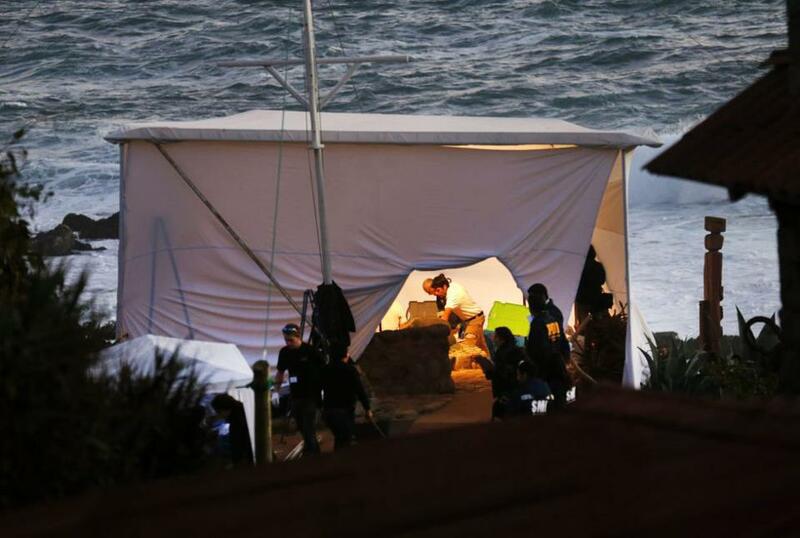 Thousands were detained and over 1,200 arrested, some to be imprisoned for days and months without trial. The massacre exposed the enormous rift between the government, ruled by the Institutional Revolutionary Party (PRI) for forty years, and Mexico’s youth. The government, which was so anxious to portray Mexico under its leadership as an emerging industrial democracy, instead revealed to the world its own dark, corrupted soul. The accounts of the massacre occupy the second part of her incredible book. The longer first section uses the same narrative technique to explore the origins of the student movement. Like a documentary filmmaker, Poniatowska interweaves individual narratives to create a larger, more complex and heart-rending collage. She records the distinctive voices and their amazing stories without editorializing. By letting the voices speak for themselves, she captures the movement’s optimism, idealism and naiveté, as well as the manipulations of some of its leaders and the consternation it created among the older generation. This is oral history at its finest and most powerful, and I believe it had a direct influence on an aspiring young writer who would emerge as one of Latin America’s great modern novelists: Roberto Bolaño. 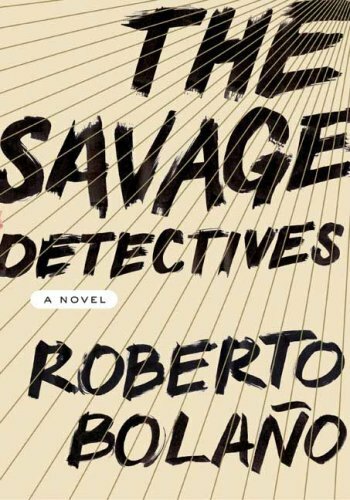 In The Savage Detectives, Bolaño uses the same techniques to produce a similar documentary effect. 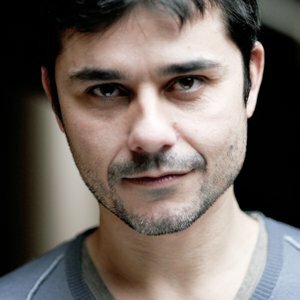 His young Mexican narrator of the novel’s first section, Juan García Madero, possesses all of the idealism and naiveté, even the postured ennui, of those young people from the 1968 student movement. 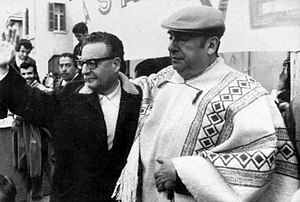 In the second section of the novel, like Poniatowska Bolaño creates a collage of interwoven narratives to tell the larger, sadder story of the dissolution of the “infra-realist” poetry movement and the disillusionment of its two leaders, Ulises Lima and Arturo Belano. There is even a narrator in this section based on a legendary woman mentioned by Poniatowska who, during the student protests of ’68, remained on the university campus by hiding in a bathroom for weeks after the army evicted the students and shut it down. Bolaño takes that story and riffs on it in his own inimitable way, turning the woman into a poet whose voice adds more cumulative details about the demise of Lima and Belano. 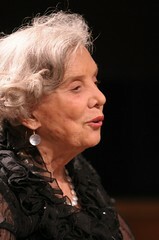 The narrative arc of Poniatowska’s non-fiction and Bolaño’s fiction is the same. From ebullient, youthful optimism the reader travels across the emotional spectrum, while a compelling gravity draws each story to its inevitable outcome, culminating in violence, disbelief and dismay. Both books, one through meticulous reportage and the other through febrile imagination, brilliantly capture the history of a generation. Is historical fiction intrinsically cheap? Henry James wrote in a letter to Sarah Orne Jewett, “the ‘historic’ novel is, for me, condemned, even in cases of labor as delicate as yours, to a fatal cheapness…” (I am indebted to Samir Chopra’s excellent blog for this thought-provoking quote.) A modern writer, James continues, can include historical details but cannot invent or represent “the old consciousness, the soul, the horizon, the vision of individuals in whose minds half the things that make ours, that make the modern world were non-existent.” Jewett wanted to write about the New England Puritans, but to James’ point, how could she without being one? Laurent Binet, the French author of HHhH, apparently agrees. 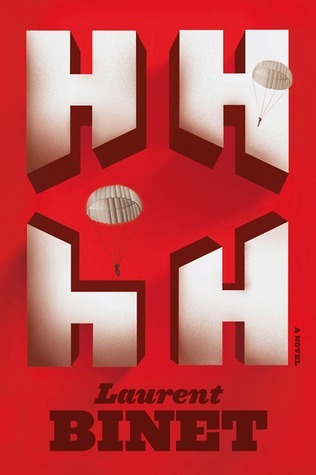 Winner of the 2010 Prix Goncourt du Premier Roman, HHhH is a gripping, self-conscious historical novel about the daring attempt by the Czechoslovakian Resistance to assassinate Reinhard Heydrich, Heinrich Himmler’s right-hand man and mastermind of the Final Solution, in Prague in 1942. Through a careful orchestration of the story’s facts, presented with the ironies that only a historical perspective can provide, he avoids the “old consciousness” entirely, except in supposition, and yet he creates a suspenseful and nuanced tale. I was drawn to Binet’s book not only by its subject but also by his treatment of the “historic” problem. For, although I enjoy the history in historical fiction, I share James’ concern: the fictional aspect, meaning the experiential truth of it, is usually disappointing. The lack of the “old consciousness” was the problem I had with The Orchardist by Amanda Coplin, as I struggled to articulate here, and it is frequently the problem I have with books about Elizabethans or Victorians written by modern authors: they fail to capture the consciousness of the time, making the story and, consequentially, the history false. Binet gets the problem. Born in 1972, he knows he would be faking any dialogue between Heydrich and Himmler or between the two brave resistance fighters who parachuted into Czechoslovakia to kill Heydrich. So, to get around the “consciousness” problem, he inserts himself as a first-person narrator into the novel, critiquing his own story-telling and advising the reader not to believe what he wrote: it is made up and a disservice to the important truth of the real story. This metafictional device is clever and coy at the same time, and toward the climax of the novel it delays without adding value, becoming somewhat annoying. Yet it highlights the dilemma fiction writers face with any historical drama; it also adds another, more postmodern dimension to the story (as John Fowles’ techniques did in The French Lieutenant’s Woman). Binet forces the reader to ask not only how much of what he writes is true, but how much of the past is truly capturable. Is all history fiction? Is all fiction false? What is the point of history if our imagination and empathy are not involved? And what better way to tap our imagination and empathy than with fiction? Binet doesn’t really resolve James’ issue, but he does a fine job raising these ancillary questions. There is little new to tell about World War One. John Keegan, Hew Strachan and others have written comprehensive, well-researched histories of the conflict that resulted in 20 million casualties and set in motion the turbulent waves of nationalism that dominated the 20th Century. Barbara Tuchman wrote vividly about the diplomatic failures that resulted in the headlong rush to war. For firsthand accounts of the trenches, nothing compares to the memoirs of Siegfried Sassoon, Robert Graves, and Edmund Blunden. But in this finely written account Adam Hochschild achieves something new by contrasting key proponents of the British war machine with the pacifists who attempted to stop it. From the suffragette and worker movements came a few brave souls opposed to the purblind patriotism that swept the nation and encouraged millions of young men to march to their deaths. The object lesson of Keir Hardie, Bertrand Russell, the Pankhursts, and the 6000 conscientious objectors who refused to fight might be: individuals must stand firm in their convictions to change the world. But the parallel truth is more frightening: when a nation confronts a perceived threat to its existence, voices opposing it are muffled, propaganda overwhelms truth, and civil liberties go by the board–even in great democracies. We like to think we would have confronted the politicians and generals whose arguments for persevering in a senseless war grew weaker and weaker with each disastrous campaign, but the more likely truth is that we too would have condemned the opponents as treasonous cowards and marched with the rest toward the great debacle.